Chlorella is a green single-celled freshwater alga, found to have many health benefits. Its benefits have long been acknowledged in the Far East, where it has been one of the most popular food supplements for nearly 30 years. However, it has only recently become available in the West. 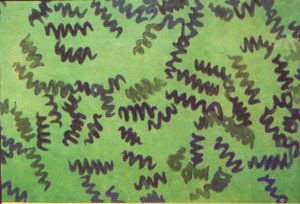 Chlorella measures about 2 to 10 µm in diameter, similar to human blood cells. It grows most rapidly in areas with plenty of sunlight, clean air and fresh water, and the biggest producers of Chlorella are in the Far East. We all know nutrition plays a vital role in childrens’ health and development. A good diet can protect a child from everyday illnesses and even improve their mood. To build strong bones, and healthy tissue and muscle, and to avoid any long-term damage to their health, have a great need for nutrients such as calcium, iron, zinc, protein and vitamin B12. Spirulina satisfies your child’s nutritional needs by providing all these nutrients, as well as all the essential amino acids.